Pennsylvania Russian Blue Rescue View other Russian Blues for adoption. 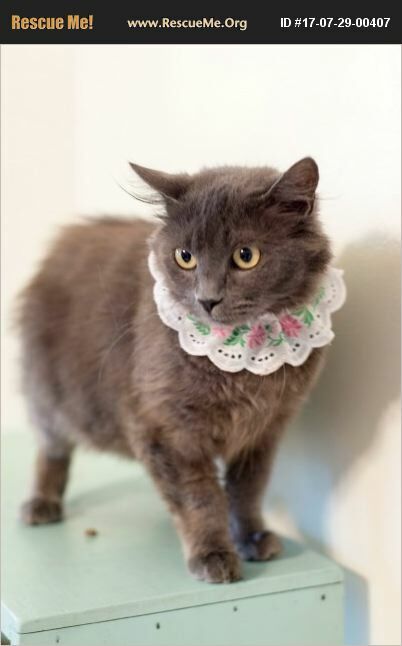 Georgia is a gorgeous, funny, and incredibly loving adult cat. She is about four years old, and after having litter after litter of kittens outside what was supposed to be her forever home, she and her last litter of kittens were brought in by a caring neighbor. Her kittens, Cola, Chips, Ash, and Sasha, proved to be wonderful, sweet, courageous kittens just like their momma! Now Georgia is searching for her forever home. :) We love Georgia so much for her wonderful personality and good looks! Despite her grumpy face, she is incredibly happy and loves attention! She is free of fleas and ticks and has been dewormed, vaccinated, and spayed. $75 to an approved adopter.